In 2015 I completely changed the way I think about a my writing career. I’ve learned to cherish social media as a great way to connect to other readers and writers, and I’ve learned about how to do my own marketing. Now I see my blog as just another part of my own “writing business”, in addition to actually writing my books. Furthermore, I’ve learned about letting go of perfectionism, to have more fun and to go for my dreams, one step at a time. In 2015 I also got to know so many great fellow writers also working to become published. Actually feeling like a part of a community has also boosted my self-confidence. Alone, the road ahead seems scary. Together the goals seem achievable. Wonder how it feels to write a book? This is how I think it feels – and how it feels to several of my fellow writers on Twitter! My writing process in 2015 was mainly figuring out how to work towards becoming a writer – combined with my other jobs as well. Sometimes it worked really well, sometimes it worked really poorly. My main writing task of 2015 was to edit the latest draft of A HEART OF FIRE and to start translating it, see below. 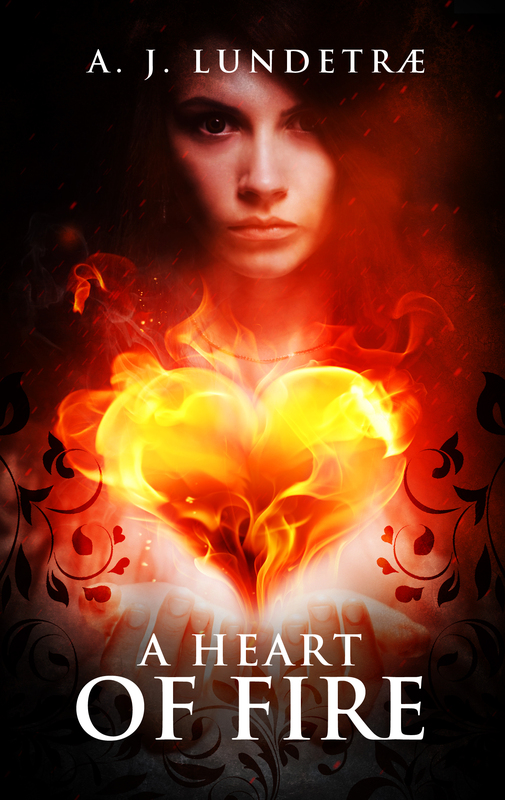 The A HEART OF FIRE highlight of 2015 was definitely the cover reveal. A HEART OF FIRE is Urban Fantasy for Young Adults. A 17-year-old girl, Ane, discovers that she has magical powers, and has to choose to use them for selfish goals or for the greater good, to find her inner strengths, in order to stand up against evil forces. I’ve pretty much planned a series of 6 books, and the first one is already written down in Norwegian. A big author life highlight in 2015 was my writer’s retreat. I felt better than I had in a long time and I highly recommend retreating! Here are a few tips on how to conduct your own writer’s retreat! My MOST READ blog post of all time is on how I arrange my life being a Highly Sensitive Person (HSP). If you think this may apply to you as well, I warmly encourage you to read the post Highly Sensitive Persons: 20 ways to protect yourself. In 2015 I read a lot about Feng Shui for writers and redecorated my apartment in February according to it, then moved to a new apartment, and decorated that one too according to feng shui principles for more energy and creativity. The basic principle is that the more clutter you have in your house, the more energy is drained from your energy reserves. I highly recommend giving feng shui principles a try. Here is my blog post on feng shui for writers. I’ve been asked a lot of questions on how I write, how I manage to complete the stories that I start, how I manage to start writing a new book, and so on. I love it when people ask me questions about this! If you have a question, please leave a comment or write me on Facebook or Twitter, and I’ll do my very best answering your question in a blog post! I wish you a all beautiful 2016! What was YOUR highlight in 2015? Any game changers? PS. Keep meaning to tell both you and Beverley: if you want beta reader or critique partner, I’m happy to be one. Thank you for your lovely comment, Aura!